Looking back on it after 140 years, one wonders how such a seemingly "unnecessary" denomination was ever created. Digging a bit deeper though, it seems that political wrangling and favors played a role. The Gold Dollar’s historic era and striking beauty generate exceptional market support from collectors, especially since 3 of the 5 issuing mints are the extremely appealing Charlotte, Dahlonega and New Orleans southern branch mints. 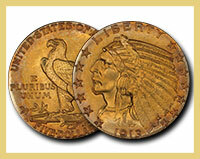 PCGS Registry "One Dollar Gold Mintmark Set" is an intriguing 5-piece display of significant Americana. Which Quarter is the most aesthetically appealing design? 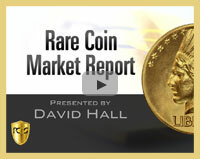 Join esteemed numistmatist Q. David Bowers as he talks about the history and designs of several coins in the D. Brent Pogue Collection, many of which will be offered at auction by Stack’s Bowers. There is something for everyone in this series, with over 120 videos. 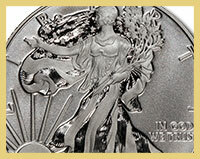 Silver, Gold, and Platinum Uncirculated Eagle Seats bearing the "W" Mint Mark will receive the new SP Burnished designation. David Hall gives some advice on what to do even if you aren’t planning on buying anything from the D. Brent Pogue Collection. 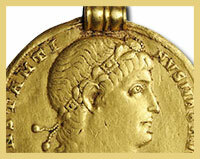 Which coins have been soft and which are stars? 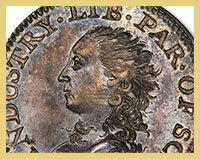 What is the connection between the first American coinage and our Founding Fathers?